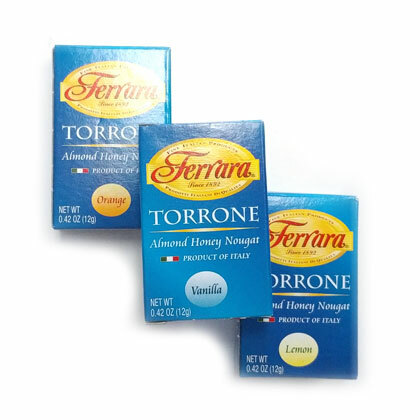 Torrone almond honey nougat mini boxes. 10 ct bag. Assorted lemon, orange and vanilla flavors. Each box is .35 oz. 1.5 inches wide and 2.25 inches tall. Individually wrapped inside box.